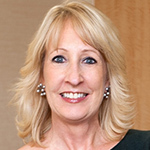 Melissa Dyrdahl is a leader in transforming health care, providing women with innovative, integrative wellness services, and an advocate for industry-wide improvements in how women are treated. Ella Health is a growing women’s wellness company dedicated to improving how health care is delivered to women. Based in San Francisco with centers across the country, Ella Health provides 3D mammography, physical therapy, Pilates, and wellness programs in a relaxing spa-like setting. Ella’s goal is to empower women to take charge of their own health. Ella centers provide a place where women feel comfortable and cared for, use advanced proven technology to give patients the best treatment options, and deliver programs around not only what women need but also what they want from their health care providers.